Am I the only one who feels like September absolutely FLEW by?! Some of the days were long, but overall it was such a quick month and I can't believe we are fully in to Fall. 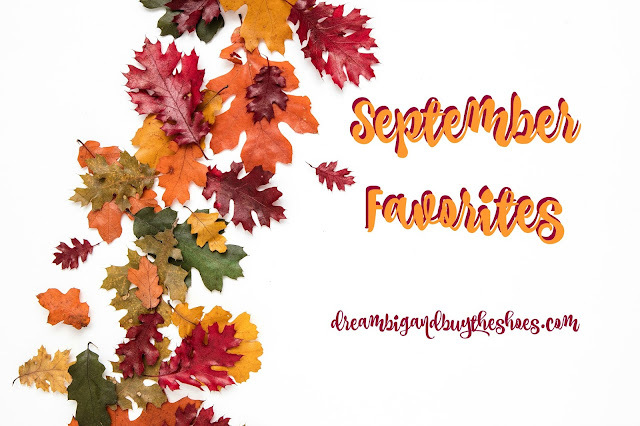 My favorite season is here and so is one of my favorite posts to put together each month...my round-up of favorites and monthly recap with Macy. I really enjoy sharing posts from my go-to bloggers, but am trying to find more and more that maybe you haven't seen links from. Let me know if there's anything new or a fun category you'd like to see me include next month! Favorite Blogger/ Influencer Post: Erin from Living In Yellow always cracks me up, and her video at the end of this post really made me LOL. The whole post is great though if you're a blogger or an influencer--thoughts, pros and cons of living your life online which those of us who do can definitely relate to. Favorite App: Paribus- You used to have to pay for this awesome service, but now it's FREE! You sign up with the e-mail address where your online receipt for purchases come, shop like normal and Paribus works in the background looking for price drops so you can get refunded. There are some places that they do not or cannot automatically refund to you, but they give you the information and even a script so you can call and take care of everything. I got an alert that something dropped in a Gap order and I called the number they gave me, listed the order number and items and the customer service rep was extremely helpful and so nice...I got refunded $28 total for 5 items! SCORE! Favorite Everyday Advice: Kallie has got some GREAT ideas and thoughts on why boredom is actually a good thing. Especially going in to this busy season, when we are always on the go--it's good to unwind, relax and use some of the tips she shared. Favorite Fashion Week Post: Some people do NOT agree with me, but I love seeing all the hustle behind NYFW and every year at this time we get an overload of it. Courtney Kerr gave us her opinion about how she's learned to enjoy it all these seasons later and a little bit of what goes on in the streets and shows. Favorite Instagram Post: How could I not share this one?! The fabulous chics who own Georgetown Cupcake- sisters Katherine and Sophie are the best. I've followed them for years, and loved when they had their show on TLC. They shared one of my IG posts with my beautiful cupcakes that were sent to me in the hospital by an awesome friend. Made my day- and so FUN! Favorite Story: This post from Color Me Courtney made me tear up- she's such an awesome person and always SO real with everyone. She's fun, uplifting and cheerful--but this story shows how it wasn't always that way in NYC and she thanks Sarah Jessica Parker for being a guiding force in her life in the city. Favorite Moment: Since I do a lot of the same monotonous things in the hospital, it's hard not being out there living life and exploring like normal. But, continuing to get good news about our baby girl makes me SO happy. She's doing really well, is super active, continues to make me smile with all her kicks and I'm just so proud she's sticking it out in there. Funny how excited you can get about someone who's still inside your body- I can't even wait to see her sweet face and tell her all these stories some day. Favorite Mom Post: Sierra is so beautiful, inside and out and you can see it in her posts with her littles. They have such a sweet relationship and I really enjoyed her post about the time being a Mom caught up with her. Her recommendations and advice really hit home, such a good read! Favorite Beauty Post: I always seem to forget this stuff if it's not on the makeup label--but Rachel reminds us how long we should keep our beauty products. Pin this one- it's a good resource! Favorite Home Post: I don't have a kitchen nook- but if and when I do...oh the ideas are flowing. 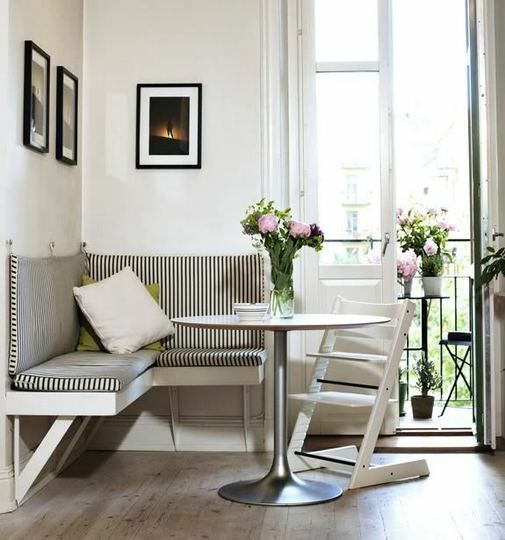 Check out these dreamy nooks and get to drooling along with me. Favorite Recipe: Michael shared a Butter Pecan Cupcake recipe that I am dying to make when I get home and how adorable are the free printable recipe cards too?! There's links to a bunch of past ones which would go along great when you pass along a homemade treat to someone. Favorite Relationship Post: The Everygirl shared some stay at home date night ideas that are outside of just watching a movie together. 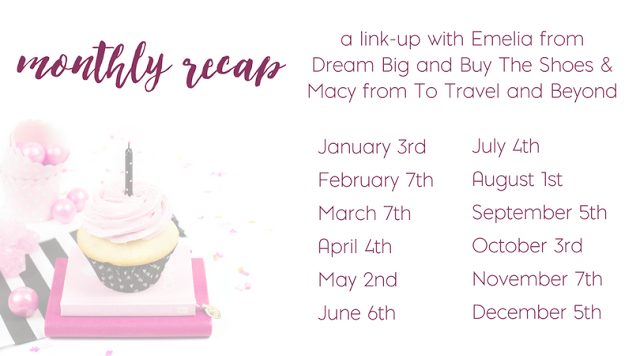 Join Macy and I next month on November 7th to share your goals, highlights from your month and favorites! We would love to have you join us. What was a favorite post or moment from you in September?